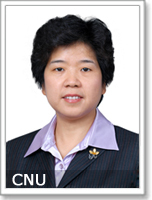 Born in April of 1961, in Rangfen County of Shanxi Province, she joined the CPC in July of 1983. She got her first job in August of 1983. Graduated from Beijing Normal University in the math major as an undergraduate student, she is now graduate student (majoring in business management at Beijing Normal University) a researcher with the diploma of Master of Economics. She used to be the deputy Dean of the Math Department of Beijing Normal University, where she was also appointed as Dean of PE Department, head of the Youth Division of the Party Committee, chief financial officer of the Financial Division, deputy party secretary, member of the Work of the CPC Beijing Municipal Education Committee, deputy director of Beijing Municipal Commission of Education and deputy secretary of the Work of the CPC Beijing Municipal Education Committee.